Product #45706 | SKU DRSFLKX32000T | 0.0 (no ratings yet) Thanks for your rating! Introducing a powerful lighting solution, the Dracast LED Fresnels Series is now available as kits. 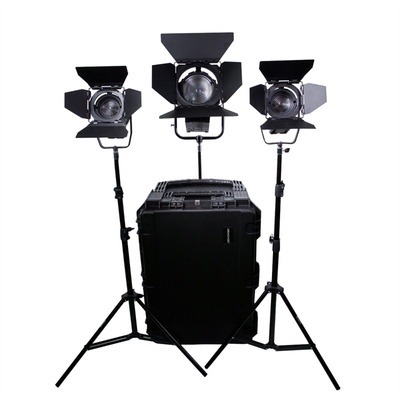 Take advantage of the maxium light output that our Dracast LED Fresnel kits can provide for your lighting needs. The Dracast LED Fresnel Kits come in different options all packed up in a hard case to protect your investment. LED technology continues to grow and shape the way you light, the LED Fresnel kits now give you the flexibility and versatility to have all the light you need for what ever the need.